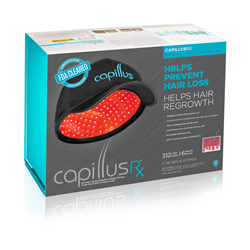 Capillus, LLC has announced the release of CapillusRX™ Laser Therapy Cap with an industry leading 312 diodes. The new flex fitting cap has the most number of lasers and simultaneous coverage of any laser cap device on the market, offering 40 more lasers than the Capillus272 Pro™. 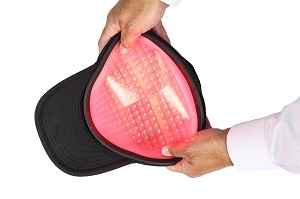 The device is the first laser therapy cap to be introduced with 6-minute daily treatment sessions. Capillus will unveil the CapillusRX™ at the International Society of Hair Restoration Surgeon’s Conference next week in Prague. “We see the CapillusRX™ as a new generation of laser! We’re rolling out the most powerful laser device on the market today, in the same discreet design. Our device has 312 diodes, all fitted snugly into a new and comfortable hypoallergenic base. Not only are we offering physicians a powerful laser cap, it’s also what we feel is the most comfortable,” says Carlos Pina, Founder and CEO of Capillus, LLC. With the advent of continuous wave output technology, the CapillusRX™ requires the user to wear the cap for only six-minutes per day. This is a vast improvement over the previous model, which needed to be worn 30-minutes on alternate days, making it now easier than ever for user compliance. With continuous wave technology, the diode lifetime of the CapillusRX™ is also increased by 30%. Providing a steady power output to the laser diodes guarantees steadier diode energy output. The CapillusRX™ will not be sold directly to consumers as the company’s other models (Capillus82™, Capillus202™, Capillus272 Pro™). The CapillusRX™ model is only available exclusively through the Capillus physician network.